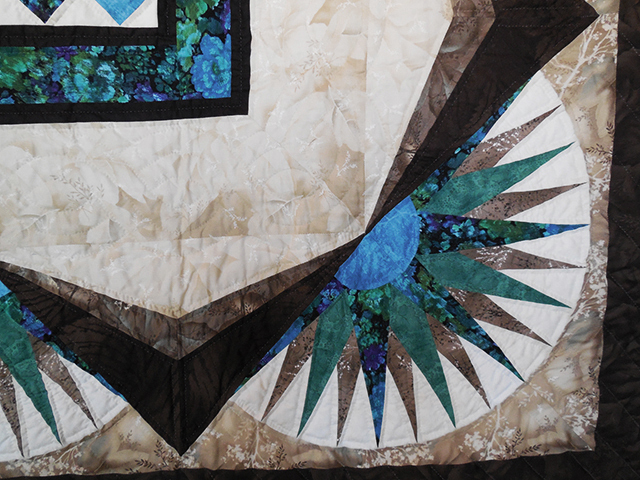 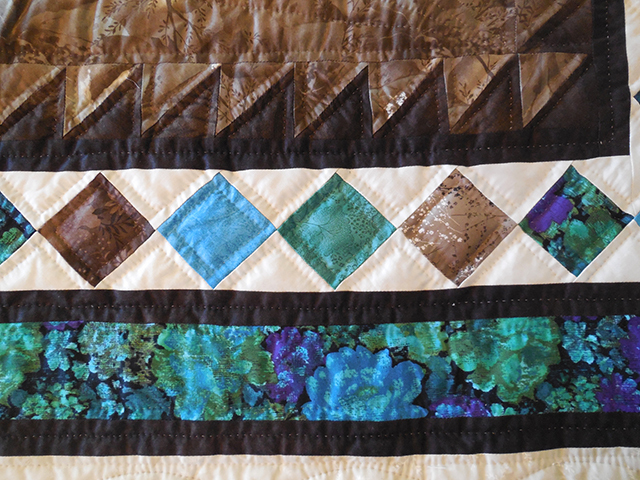 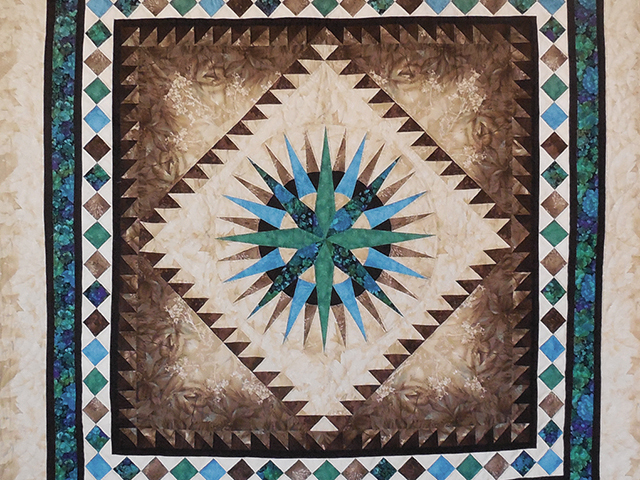 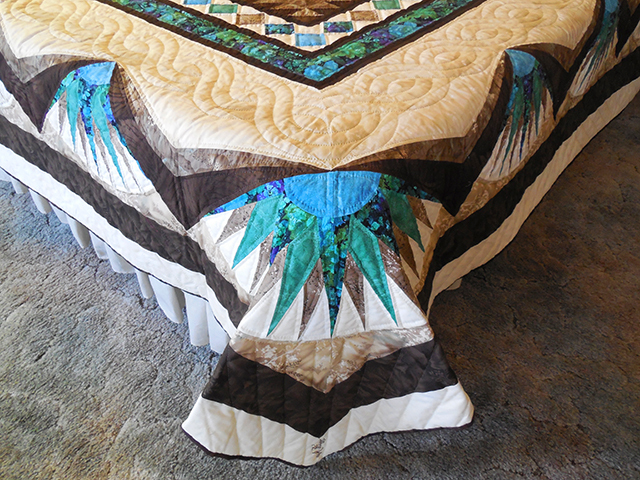 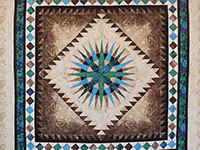 An amazing Mariner's Compass with striking colors of beautifully shaded taupes, browns and teals selected by Dolores Yoder. 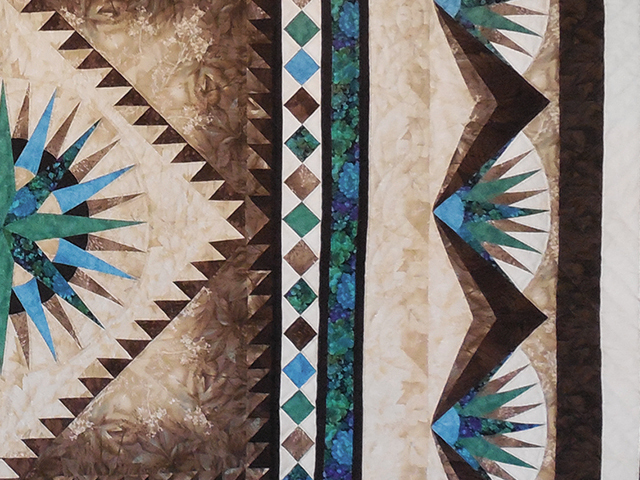 With it's intricately pieced borders it is truly a masterpiece. 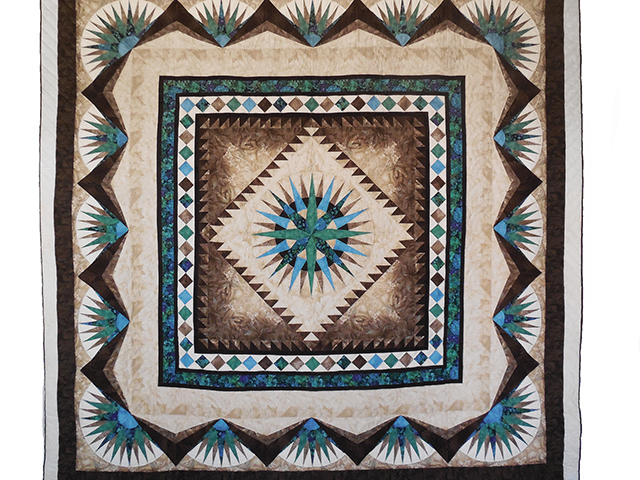 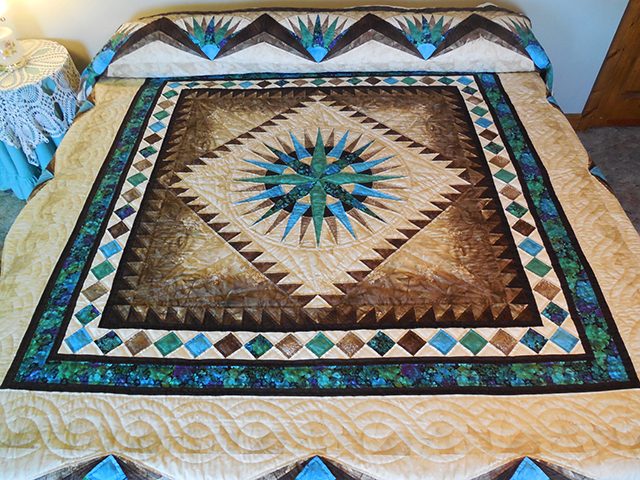 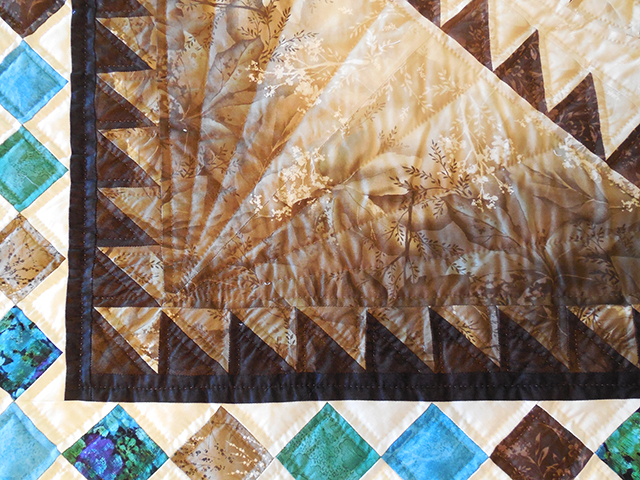 Dolores made the top and an Amish friend did the quilting with 8 stitches per inch.